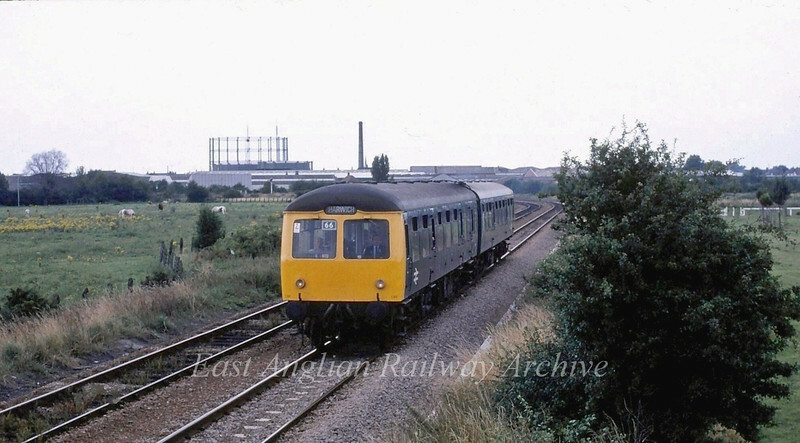 Two car Cravens crosses Coldhams Common, Cambridge on a Cambridge to Harwich working in September 1980 with driver Cliff Fenn at the controls. On the skyline is the gasometer and the pumping station chimney off Newmarket Road. The latter as seen on TV when steeplejack Fred Dibnah climbed it.